My 3 year old daughter loves pineapples! She loves to eat them. She loves pineapple jewelry. She even has a pineapple dress or two! 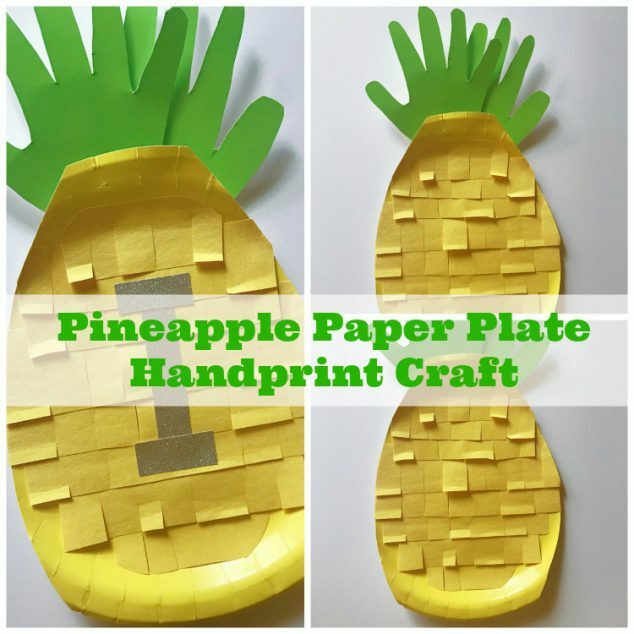 So this fun handprint paper plate pineapple craft was right up her ally! This is a simple yet cute craft that your toddler can help make. There are minimal supplies needed and it only has a few steps! Perfect for those little minds that get distracted easily. I hope you enjoy helping your child with making these easy pineapple crafts kids will love. Crafts are so good for kids and they are so much fun! Gather your supplies and head to the table. 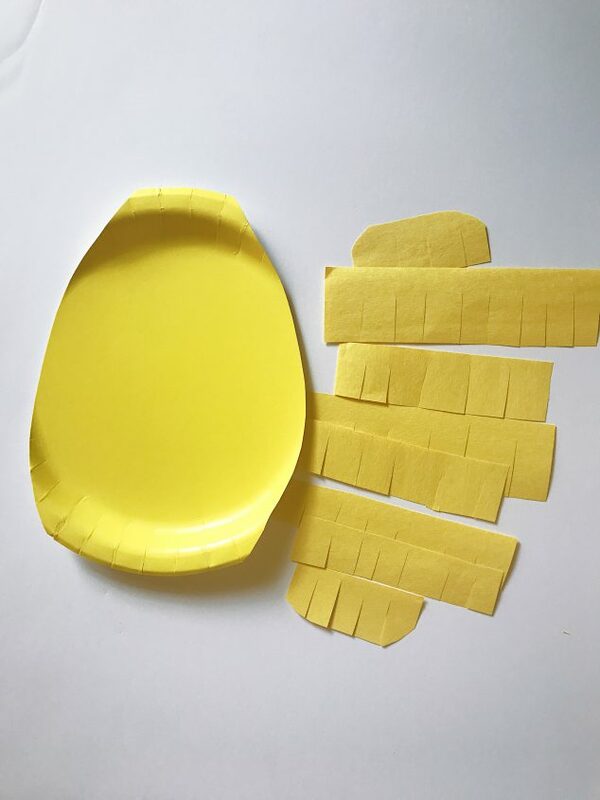 First start with your yellow paper plate. Take your scissors and cut out a pineapple shape. I just trimmed a little of each side off and made a rounded curve with my scissors. Next, grab your yellow construction paper and cut strips out. Once the strips are cut out, take your scissor and cut slits down the bottom of each strip to make construction paper pineapple strips. Once your strips are cut out, tape them on your paper plate. Start at the bottom and work up. overlap each strip just a little. You can either trim your strips to fit the shape of your pineapple before or if you choose after, just run your scissors around the outside and trim off any extra paper that hangs over the sides. Now comes the handprint craft part. Turn 2 of your green paper plates over and trace your child’s hand twice. Once you have traced their hand, cut those two handprints out and get your child to help you tape the handprints on to the top of the pineapple. 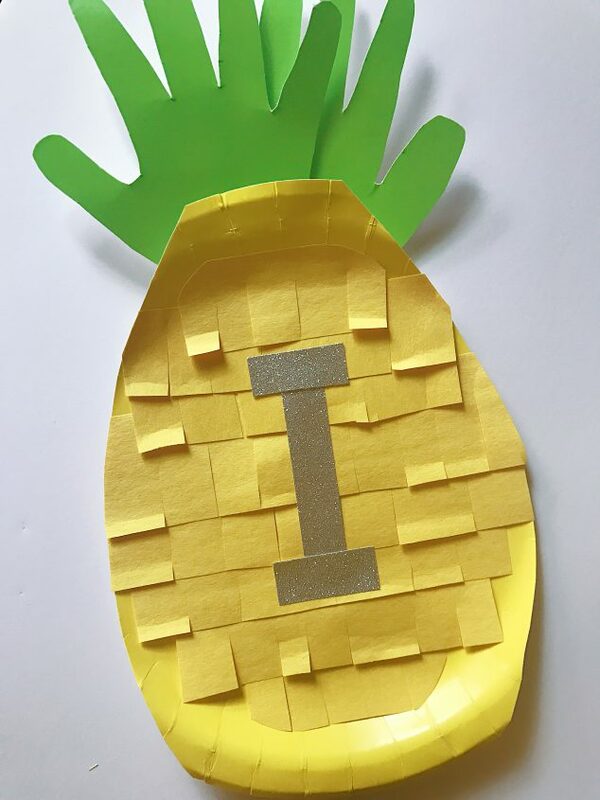 Once you have your pineapple done, you can even add a sticker letter of your child’s first name initial. It just adds a little something extra and is especially a good idea if you have more than one child making these handprint pineapple crafts so you can easily identify who made what. 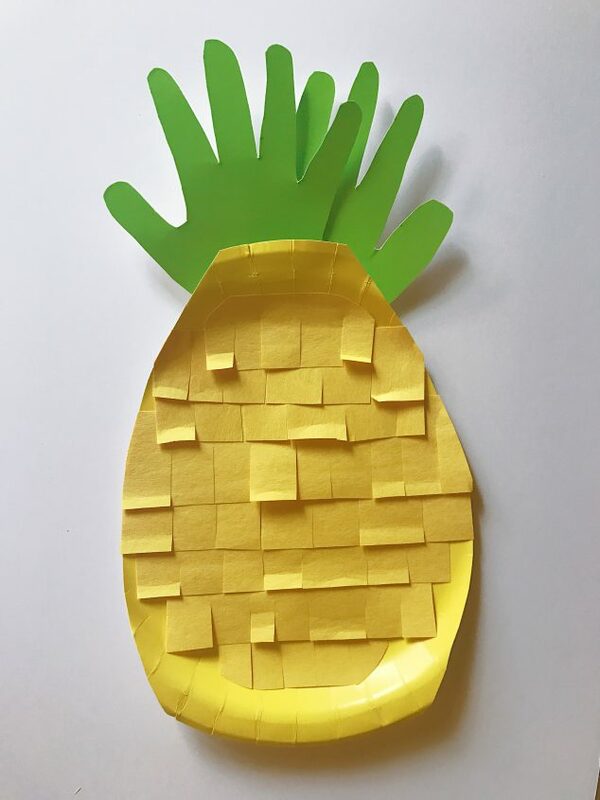 Do you think your child would like this pineapple craft? What’s his/her favorite fruit? Do you think you will try these Handprint Pineapple Crafts Kids Will Love? I hope you found this tutorial useful! 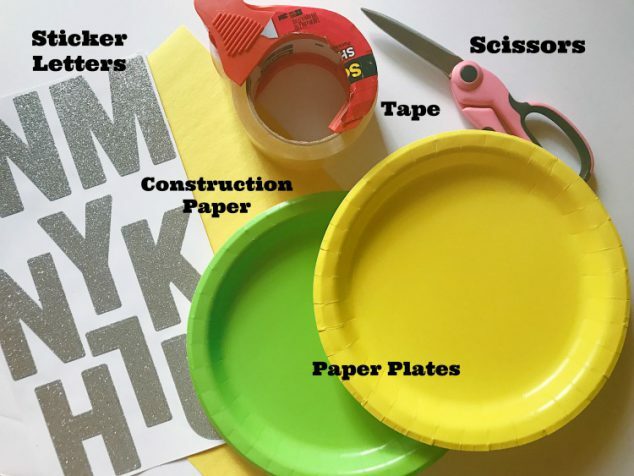 Tag us @familyfocusblog with your crafty creations. Our Sun Handprint Paper Plate Craft is very similar if you kids enjoyed this craft for kids. Your kids may also enjoy some fingerprint art! Have you tried that yet? It is a bit messier but also fun and celebrates their individuality. Love this idea to get creative with things our little ones love!